Ever wonder if there’s a difference between stray cats and feral cats? It seems like there wouldn’t be, right? Both live outside, and probably not by choice. 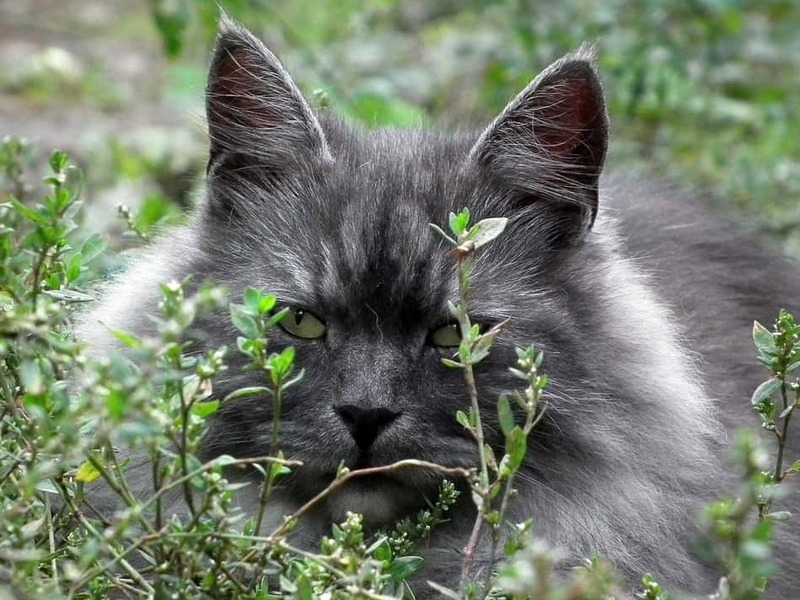 Both deal with issues like hunger, predators, and illnesses that are common in outdoor cats. So what’s the difference? Are the names interchangeable? Let’s find out! 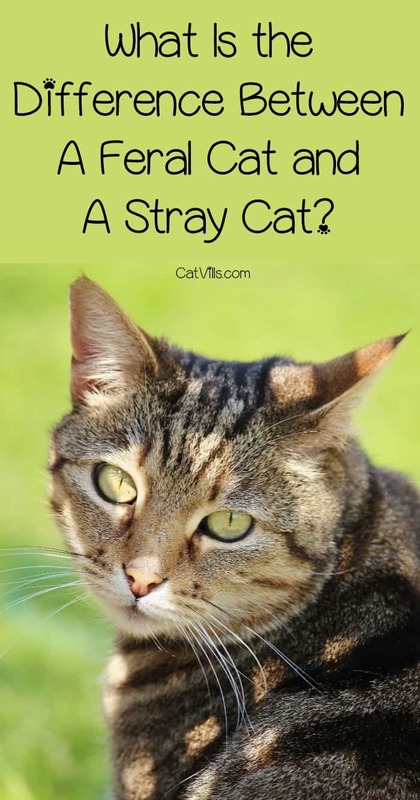 People often confuse feral cats and stray cats because of their seemingly similar nature – both homeless, skittish, and often ragged-looking from fleas and fights – but there are significant differences. Keep reading to find out what they are! Stray cats are ones that have started out with a home, and sadly the shelters are full of them. Stray cats are the ones that have run away, or been left behind, abandoned, or released. 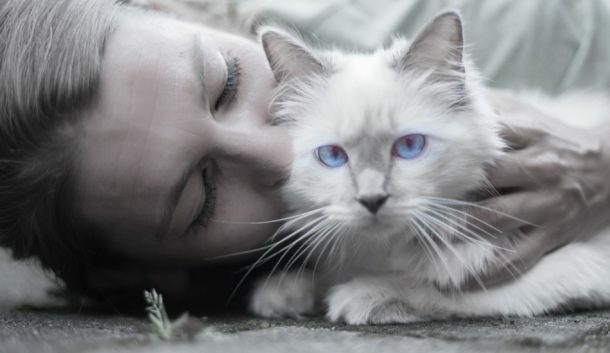 Strays often range in behavior based on their history with humans – if a cat has been a beloved house pet, they may still approach humans comfortably. You may find a stray cat sunning on your back deck, meowing through your screen door at you while you work in your kitchen. Strays are typically solitary creatures, avoiding other animals through an instinct not to infringe on anyone else’s territory. A stray cat may respond to an offer of treats, or a “here, kitty, kitty”, and can likely be caught relatively easily. If you catch a stray, first check for a collar, or take it to a vet to check for a microchip – with any luck, someone is looking for their lost pet, and will be very grateful to hear from you. Feral cats are different. They’ve never had a home with humans, but they don’t live alone either. Feral cats live in colonies – often generations of them living together – hunting, fighting, and multiplying rapidly. These colonies are surprisingly quiet – even the larger ones – because adult cats don’t use meows to communicate with each other – they don’t need verbal communication, and it’s safer if they stay quiet. In fact, often cats that come from feral colonies don’t meow even once they are brought into a home. Can you turn a feral cat into a pet? Surprisingly, both feral and stray cats can make great pets, although they will likely take some work – and it is important to know that not all of them will make good pets. Factors that influence this may be previous experiences with humans – good, bad, or nonexistent – or the age of the cat, among others. I have a little black cat named Loki, who came from a feral colony on a farm in the country. At only about a week old, my mother rescued him from where he lay in the middle of a dirt road, and brought him home – eventually sending him to live with me. Loki was young enough that he had to be fed milk replacer and weaned off carefully – something that is much easier for a mother cat to do than a human. He was a sweet boy from the start, though we suspect he had never met a person before he was discovered. He wasn’t old enough to be afraid, and instead adopted us as his humans immediately. Loki is the cat that is most likely to be curled on my lap – or keyboard – as I write, holding my hand in his paws as he sleeps (he likes to add a challenge). Despite his introduction at an extremely young age to my other four cats, he was more than two years old when we first heard him meow (and let me tell you, my other cats are not silent). He is just over three years old now, and is the most playful and affectionate of all of our feline family members – our perma-kitten. By the same token, friends of ours have a formerly feral cat that they rescued from a large local colony at nearly a year old. They had another cat, and the initial introduction between the two felines did not go well – to the point where our friends were almost entirely convinced that they would have to find a different home for their new furry little girl. For weeks, their new cat hid from everyone and everything, and it was several more months before she would make herself visible to strange people. Now she is a beloved member of their family, and her closest friends are their other cats (oh, and they rescued another feral not long after – who is also right at home these days). One of the ways that cities manage their feral cat populations is the “Trap, Neuter, Release” or TNR program. These programs are effective, but complicated. Feral cats are trapped, vaccinated, and spayed or neutered. This ensures that they will not contract or spread illness through the colony, and that they will not continue to increase its population. When the cats are fixed and vaccinated, they are also assessed. Many of the friendlier ones are placed in foster homes or adopted out, and make wonderful companions – like Loki, and like our friends’ cats. Others are too wild, too aggressive to be house cats. These cats are released back into the colony, often with an ear “tipped” so that they don’t get dragged back to the vet’s again if they fall for another trap. While releasing them back to the colony might seem counter-intuitive, it is often the best choice for cats that cannot be domesticated – in no small part due to the fact that if a feral cat colony is eradicated, another is likely to move into the territory. If you find yourself with stray or feral cats in your area and are having issues with them, contact your local TNR program or cat rescue for advice – they likely have a network of resources they can draw on to help, and things will go better for you and the cats. Did you ever bring a stray or feral cat into your home as a pet? Share your experiences below! This is really great info. I’ve definitely met both kinds of cats on the street, and you can almost immediately tell the difference! So interesting – we are such cat people and this is great information! I honestly wouldn’t know the difference since I’m not a cat person. Would share this with my friend who loves cat. Interesting read! Fascinating subject and yes there’s a clear difference between the two. We see a few strays and the occasional ferals in my area.